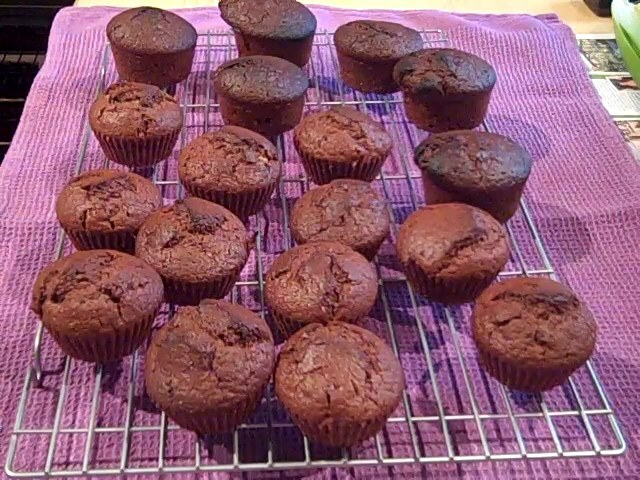 Everyone loves freshly made muffins and these quick and simple chocolate muffins with delicious chocolate chunks are made in just four easy steps. Line a 12-hole deep muffin tray with paper muffin cases. Sift together the flour, cocoa and baking powder, stir in the sugar. Add the remaining ingredients and mix lightly together. Spoon the mixture into the prepared cases. Bake for approximately 25 – 30 minutes or until golden and springy to the touch.